Revo uninstaller is a utility which will help you to completely remove software. 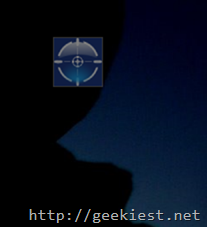 Normally when you uninstall a software it may have some leftovers, it can be registry entries, files and folders. Revo Uninstaller can scan for them and help you to remove it. Even though that is the main purpose of this product it can also optimize your PC with the tools added to it such as Auto run manager, Junk file cleaner etc. Forced uninstall - can remove the left overs of the programs which are partially installed or uninstalled. 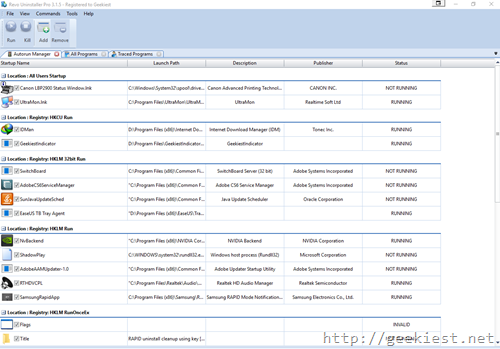 Installation Monitor – Track each and every change while installing a program and remove it completely while uninstalling using it. 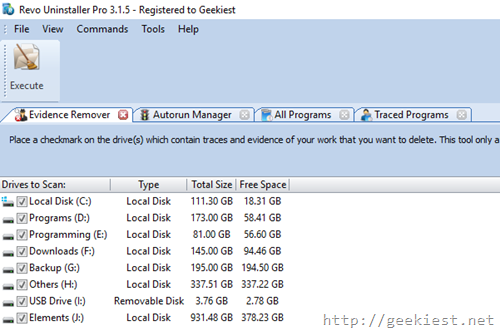 Backup – Backups of removed registry keys, values, files and folders. Hunter mode, easy uninstall process, just drag and drop the hunter window to the desktop icons, to uninstall. One click access to the System Restore, Network Diagnostics, Network Information, Security Center, System Properties, System Information, TCP/IP Netstat Command, On-Screen Keyboard, Disk Defragmenter, Services, Shared Folders, Group Policy. 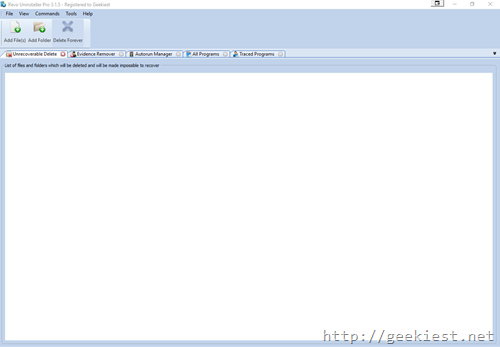 Auto run manager – Decide which all programs need to start with windows, optimizing this list will improve the boot speed. Browsers Cleaner – Clean the history, cache files etc. Evidence remover and Unrecoverable delete – Remove files and folders permanently, these files will not be able to recovered using the undelete, or file recovery programs. Read more about Revo Uninstaller. This is one of the must have application, it have a Free version, a portable edition and also a PRO version. currently a Christmas sale is active on the website where you can get a Pro version for just $19.62 (50% OFF). 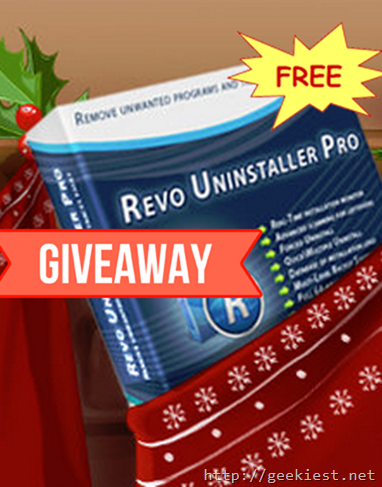 We will be giving away 10 full version licenses of Revo Uninstaller Pro V3 each worth $39.25. Thank you Mohammed. 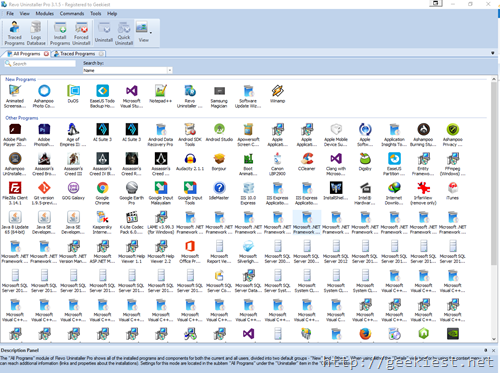 Free Revo Uninstaller Pro full version license giveaway.